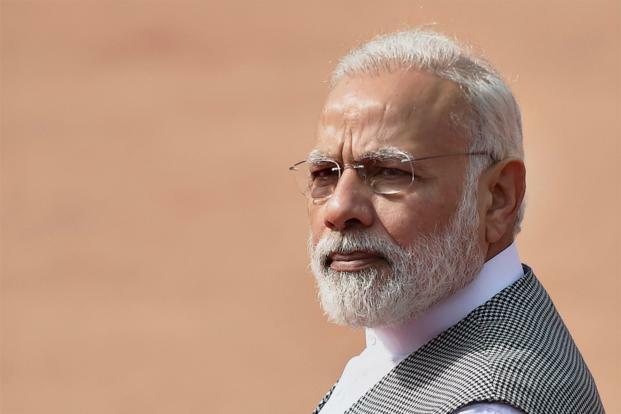 NEW DELHI: Two months after the rollout of GST, Prime Minister Narendra Modi today said apprehensions with regard to the indirect tax regime have been proven to be unfounded and a smooth transition has happened. He asked chief secretaries of all states to further boost efforts to increase registration under GST (Goods and Services Tax) and to achieve a quantum jump in this regard within a month, a PMO statement said. The prime minister was chairing his 21st meeting of Pro-Active Governance and Timely Implementation (PRAGATI), a monthly interaction with top officials of states through a vide conference. GST was rolled out on July 1, ushering in a uniform indirect tax system in the country. The last 20 meetings of PRAGATI have seen a cumulative review of 183 projects with a total investment of Rs 8.79 lakh crore, according to the PMO statement. Resolution of public grievances has also been reviewed in 17 sectors, it said. In today’s meeting, the prime minister reviewed the progress of nine vital infrastructure projects worth over Rs 56,000 crore in the railway, road, power and oil pipeline and health sectors, the statement said. These projects are spread over several states including Uttar Pradesh, Madhya Pradesh, Gujarat, Haryana, Rajasthan, Maharashtra, Uttarakhand, Punjab, West Bengal, Karnataka, Tamil Nadu, Andhra Pradesh, Bihar, Odisha, Telangana, and Kerala, it said. He reviewed the progress towards handling and resolution of grievances related to patents and trademarks. He noted the improvement in performance and asked the officers concerned to work towards further expediting the processing of patent and trademark applications, the statement said. Officials explained the steps taken towards speeding up the grant of patents and trademarks, including enhanced manpower, it said. The prime minister emphasized the importance of using latest available technology, to streamline the process, and reach global standards in this regard, the statement said. The projects reviewed today included the Delhi-Mumbai Industrial Corridor (DMIC), and construction of four new AIIMS at Manglagiri in Andhra Pradesh, Kalyani in West Bengal, Nagpur in Maharashtra and Gorakhpur in Uttar Pradesh. The prime minister also reviewed the progress of the Smart Cities Mission and appreciated the participation of cities in the challenge route, the statement said. He said the challenge before everyone is now to ensure implementation and expeditious completion of the work in the 90 identified cities, with high quality, the PMO said. Reviewing the progress of the Forest Rights Act, the prime minister emphasized the importance of using space technology to determine the rights of tribal communities, and settle claims expeditiously. On Government e-Marketplace (GeM), he said the portal has improved transparency, and has reduced wasteful expenditure, the statement said. He asked the chief secretaries of all states to give priority to GeM in government procurements.